Top 10 Secrets to Afford Organic! The NUMBER ONE reason people are less-likely to try organic is the price. I always hear “but it’s more expensive” or “I don’t think I can afford it”. But if you live in the Okanagan, or any places with growing demand for clean food, farmers markets or health conscious grocery stores and have always been afraid to TRY, then this story will change your perception. THEY SWITCHED AND SAVED $50-100 DOLLARS THE VERY NEXT WEEK! 2. Shop in season. In the middle of summer, you will find local produce well priced and often less expensive than the regular priced items that have been shipped in from abroad. Eat a salad every day! In the winter, follow your body’s need for warmer foods while shopping for winter squash, potatoes, root vegetables and complex carbohydrates. 3. Plant a garden in the summer. Even if you only plant two items, you will still have two items that you don’t have to buy! Organic seeds this year were $3 a bag. Quite the investment. Community garden are super trendy now. 4. Become aware of the re-occurring sales on the “second tuesday of the month” for example. It can be up to 15% off your entire purchase. Springfield Bulk has this weekly and Bulk Foods in West Kelowna was 25% in December. Get to know what consistent deals fit into your grocery shopping route. 5. Subscribe to the flyers of your favorite/closest stores. Often you can do this online and they will email them to you. Then you know what sales are available without wasting two precious items – TIME and GAS! I always choose the nearest store unless I know I will save at least $5+ to cover the $3 I spent in gas to get there. 6. BULK BULK BULK!!!!!!!!!!!!!!! I cannot stress this one enough. Costco is doing a wonderful job of this. Bulk stores carry organic. Wholesale companies ship directly sometimes. If you can use it for food storage, go through it quickly or can share with another family buy the largest size available if the price reflects a savings! Here is a small list of major items worth considering in bulk sizes: rice, pasta, hemp hearts, canned items, wheat or baking alternatives, oats, grains, frozen foods, high use items and the biggest savings of all – MEAT. 7. Farmer’s markets or health food stores. Not only are you supporting local, but you are putting your money where your mouth is. Every dollar you spend makes a “vote” on what you want the world to look like and what you want to see more of. Want more organic, wholesome items? Then buy them! The price will invariably go down with increased demand via purchasing. I see this every single day. Prices are constantly coming down and sometimes even surpassing it’s imported or conventional counterpart. Plus you get a bit of spiritual nostalgia at the markets. It just feels good. 8. Eat less meat. Yes I said it. I could hit this from a health standpoint as well but just based on the pocketbook – you will save money having just ONE vegetarian meal a week or more. There are lots of vegetables with sufficient protein and the stores in your body will have a chance to use up what’s around. You will feel lighter and more alive if you can eat without meat, even just once in a while. 9. Try incorporating the EWG’s dirty dozen list – the top 12 pesticide offenders! Then you are putting your dollars towards the most important items first, while leaving the clean 15 (least offensive) to whatever is priced the best. A great place to start. 10. Finally, open your eyes! Start looking at the prices and sales and stores that you never really looked at. Ask friends. Go to a new store. Is it 10 cents more a lb? It’s it triple the price and not worth it to you? You won’t know unless you look. It may make you raise your standards and realize the true cost of food. I’m ok paying extra if it’s fair trade and organic. That means someone is getting paid for their hard work on a farm that doesn’t expose them to harsh chemicals, in a country that is probably less fortunate than where we live. Bonus. I promise, you will feel refreshed, more alive, spiritually in touch with earth and HEALTHIER THAN EVER. 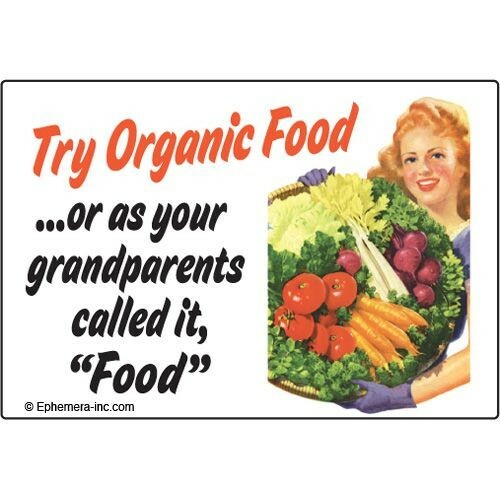 I wasn’t always organic so I come from experience. And if you do find success in it, let me know, let your friends know and share the organic love!!! This entry was posted in Food, Information, Local, Organic and tagged affordable, buy organic, clean, expensive, family, groceries, healthy, organic, save money, secrets, top 10, top 10 ways to afford organic on January 6, 2013 by organicmegan.